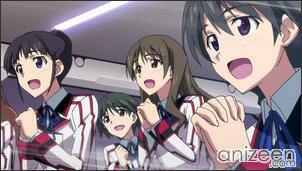 In the near future, a Japanese scientist engineers a powered exoskeleton called “Infinite Stratos” (IS). Possessing technology and combat capabilities far more advanced than any other weapon system, the IS threatens to destabilize the world. Faced with such an overpowering weapon, the nations of the world enact the “Alaska Treaty”, which states that IS will never be used for military combat and that existing IS technology must be equally distributed to all nations. 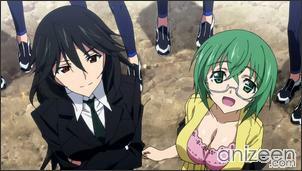 Ichika Orimura is attending the Infinite Stratos Academy as he is the first male in the world to ever pilot an IS where he becomes a sensation among the all female students of the academy. 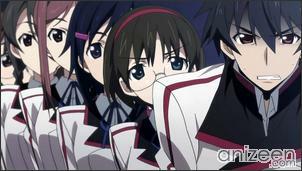 With his homeroom teacher being his older sister Chifuyu, an ex-IS pilot, Ichika is unease and feels unprepared, still, he tries to get used to the academy. 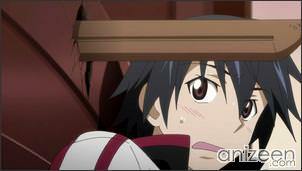 Later, he learns his dorm roommate is his childhood friend, kendo champion Houki Shinonono. When his class decides to elect him as their class representative, the British cadet representative and noble, Cecilia Alcott is against it and challenges him to an IS duel for the position. 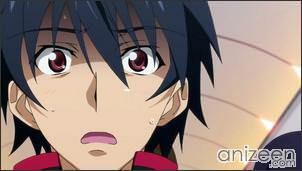 Thus, Ichika’s busy school life surrounded by girls begins. 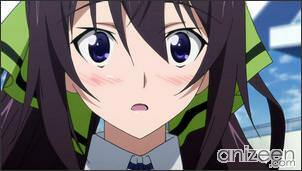 Ichika Orimura is a first year student at the IS academy. His older sister, Chifuyu, is a legendary IS pilot who raised him when the siblings’ parents abandoned them at a young age. Despite how harshly she treats him, he loves his sister dearly. As the first male IS pilot, his new reputation has made him somewhat famous as many scientists and engineers would like to study him. He is oblivious to the fact that several girls have feelings for him. He pilots the Byakushiki IS, a prototype and one of only two developed 4th generation IS and a short-range melee-class IS. 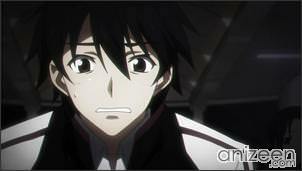 He also possesses the Yukihira Type 2, an IS energy blade that once belonged to his sister. 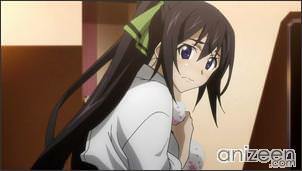 Houki Shinonono is a first year student at the IS academy and has been friends with Ichika since they were kids, though they have not seen each other for six years. Her place of residence is home to a kendo dojo and she has been interested in kendo since she was young. Houki even competes in kendo competitions at a national level. She is part of the kendo club at the IS academy. 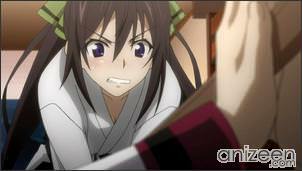 Her older sister Tabane is the creator of the IS, yet Houki hates her because six years ago, Ichika agreed to become her boyfriend if she could win the national kendo tournament of their grade. However, the day of the tournament was also the day the IS were introduced to the world. Cecilia Alcott is a first-year student at the IS academy and is the IS cadet representative from England, as part of the British Aristocracy. Her father was a spoiled and timid man who had little influence both inside and outside the Alcott family which made her swore to never marry a weak man (A difficulty due to the shift in social status). She was orphaned 3 years ago after a train accident and was forced to protect her family fortune from those who wished to claim a stake of it. Laura Bodewig is a first year student at the IS academy and is the IS cadet representative from Germany. A genetically engineered super soldier, Laura is a member of the German military and holds the rank of second lieutenant. 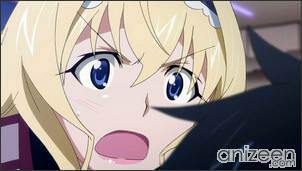 Laura was under Chifuyu’s guidance when the latter was in the German army and thus holds Chifuyu in high regard. Charlotte Dunois is a first year student at the IS academy and is the IS cadet representative from France. 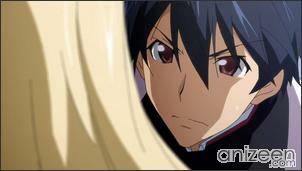 Charlotte was originally introduced in the series as “Charles”, the second male IS pilot student that was transferred into Ichika’s class but was actually sent to the academy to spy on Ichika. 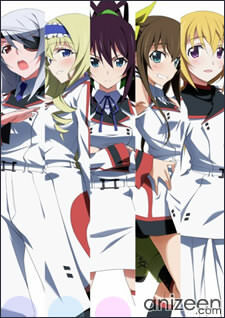 IS: Infinite Stratos (IS〈インフィニット・ストラトス〉) is a Japanese light novel series by Izuru Yumizuru with illustrations provided by Okiura. A manga adaptation by Kenji Akahoshi started serialization in the seinen manga magazine Monthly Comic Alive on May 27, 2010. 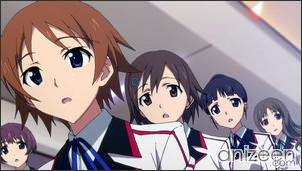 An anime adaptation began broadcasting in Japan on January 7, 2011.